Optical illusions are fascinating in many ways—they can create objects that cannot exist, movement in a static image, different colours with the same colour, and so on. 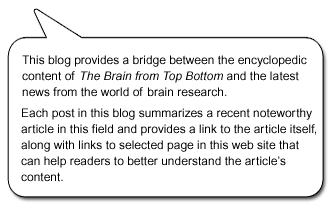 They can also give us a better understanding of how the human visual system works, as witness this web site dedicated to the best optical illusions that scientists who study this subject have managed to devise in a contest that is held every year. 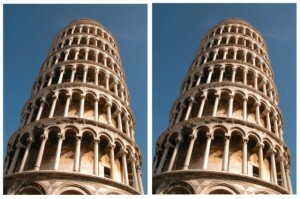 The example above took first prize in the 2007 contest and actually consists of two identical photos of the Leaning Tower of Pisa, placed side-by-side. But our visual system insists on seeing them as a single picture of two towers, which gives us the impression that the tower on the right is leaning more than the one on the left.